The CEO of FOODCOIN ECOSYSTEM Gregory Arzumanian took part in Gateway to China, an event to enable Swiss businesses in China. The event took place today, the January 25 in Bern, Switzerland. China region has a huge potential for food market, and FOODCOIN had already held preliminary meetings with a number of participants and obtained some interesting and promising contacts. The objective of this event is to support Swiss business development in China and how to prepare a business for China. 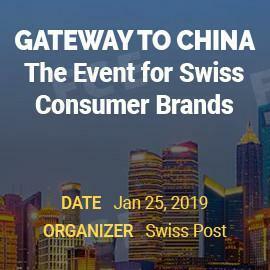 The guest list will include Chinese market experts and representants of Swiss brands, such as Alpes d’Or, Louis Widmer and Kägi, which have successfully entered the Chinese market.